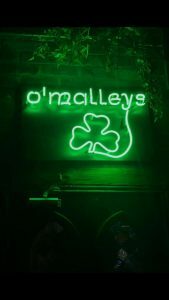 We are neon signage experts based in Dublin and Kildare. We service all of Ireland and are very familiar with life on the road. There are not many Neon signage companies in Ireland and we are one of the only businesses with an in-house glass blower. We travel all over Ireland to help businesses with their neon signage needs. From shop front signage to helping with the displays for big events we have built a large portfolio of work down through the years. 35 years to be exact. We have a large list of big clients including RTE, the Web Summit, Heineken, Teelings and Virgin Media. For more insights in to the work we have completed please visit our gallery. Neon signs are electric signs lighted by long luminous gas-discharge tubes that contain rarefied neon or other gases. They light up in a luminous fashion and are coloured in bright vivid hues making them a great way to get noticed. Neon signs are unmissable! They glow bright day and light and with a revival of 80 trends Neon Advertising is on the uprise for businesses and shopfronts. We also help businesses light up their stores and events through LED Lighting and Light boxes. Light up signage can help your business attract customers outdoors and indoors and can help direct people safely around large events. Neon signage is also very long lasting making it a go to for bars, clubs and travelling expos. The same signage can last for years and does not depreciate in quality like printed signage. Contact us and let us help your business stand the test of time and make it glow with neon signage. 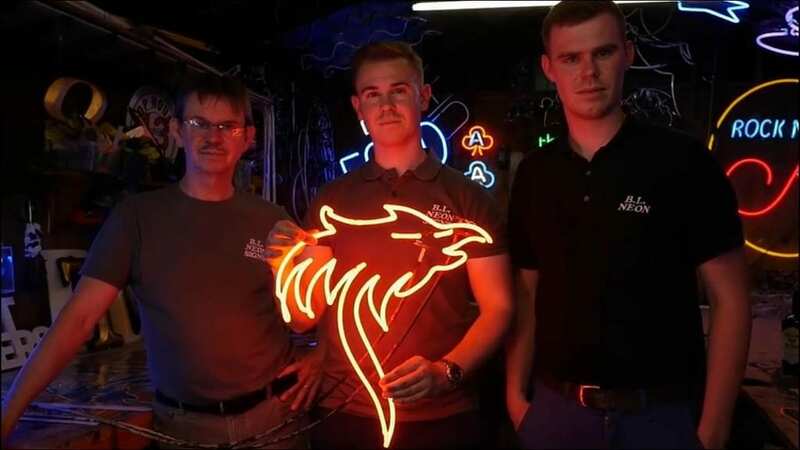 Our team are always excited to try out new things and push traditional neon glassblowing techniques to the limit. We love working on bespoke and unusual signage and are happy to chat with you over the phone or visit your business to discuss your needs. Just send us your details via our contact form and we will be in touch with you soon to discuss your neon signage needs.